Quality, Comprehensive Dental Care for Louisville and Lafayette CO Neighborhoods. Dentistry of Colorado – Lafayette is located west of Highway 287 on South Boulder Road near Centaurus High School and Flatirons Community Church. Many of our patients live in the beautiful small cities of Boulder County, including Lafayette, Louisville, Superior and Erie. We are proud to be a part of these Colorado communities and strive to give everyone who comes to our office an exceptional experience. We accept most dental insurance plans, including Medicaid. You can get significant discounts on all your dental treatment with our Dental Advantage Plan. If CLOSED, call for emergencies. At Dentistry of Colorado – Lafayette, we off a full range of dental services, including fillings, crowns, implants, orthodontics, veneers, root canals, oral surgery, gum disease treatment and more. A Bit Nervous About The Dentist? We will do everything to make your experience in our office a relaxed and positive one. We offer sedation dentistry for patients who are nervous and need help to relax while in our care. You can choose from nitrous oxide (laughing gas), oral sedation, or IV sedation to put you to sleep. Don’t want to take off time from work to get your teeth cleaned? We get it. To help fit your schedule, we provide early morning, evening and Saturday appointments. We don’t want your busy life to prevent you from getting the dental care you need. At Dentistry of Colorado – Lafayette, we offer an integrative and individualized approach to treating our patients. Our method isn’t about a single tooth. We consider your entire mouth including bite, soft tissues tooth position, and your overall health history. We take into account the patient’s unique set of circumstances and address the full range of influences that effect oral health. Are You A Teacher? You Deserve a Discount! We appreciate the teachers who serve our families. 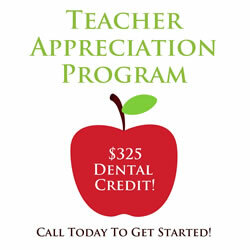 For all you do, Dentistry of Colorado – Lafayette offers all current and retired teachers in the area a $325 dental credit towards your next visit and treatment. *SMILE* We are making Invisalign® affordable for you! Get the smile you’ve always wanted for less than $99/month! Free financing and zero down payment options available. Schedule a free consultation today and find out if Invisalign® treatment is right for you! Learn More. Do you suffer from jaw pain? Does your jaw pop, click, or lock? Do you often wake up with headaches? 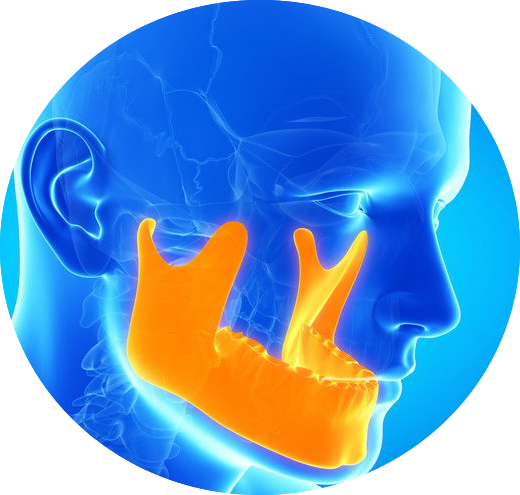 You may be suffering from TMJ! Dr. Pollack is Colorado’s expert TMJ/TMD Specialist focusing on non-surgical and reversible treatment options. At Dentistry of Colorado – Lafayette, our approach is not short-term with our patients. We want you as part of our patient family for years to come and believe in doing what’s best for you, not our immediate bottom line. We treat only what is necessary for you to maintain good oral health. We also focus on prevention so that you can avoid extensive and costly dental procedures in the future. If your treatment plan does include advanced restorative care or cosmetic treatment, we utilize the latest technology, including minimally invasive procedures. This gives both excellent results and faster healing time. The office you chose will call you within 1 business day!